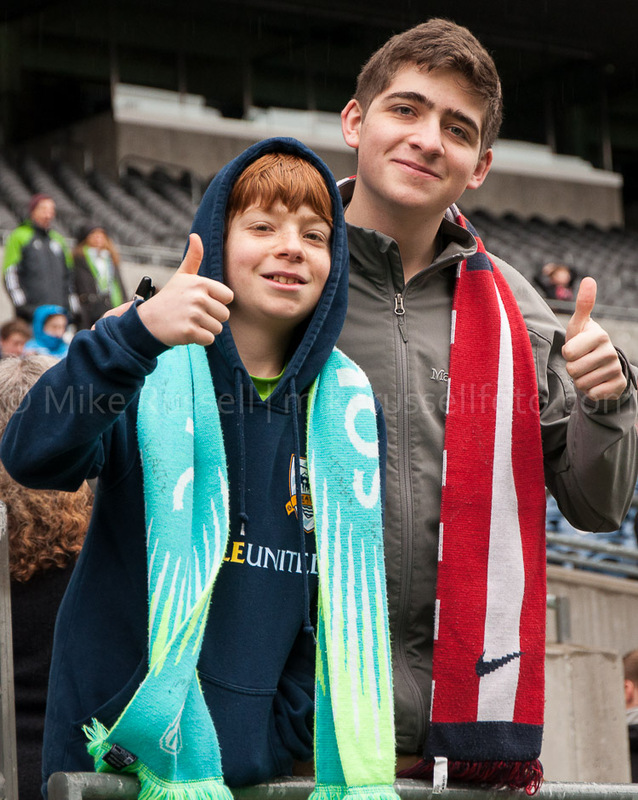 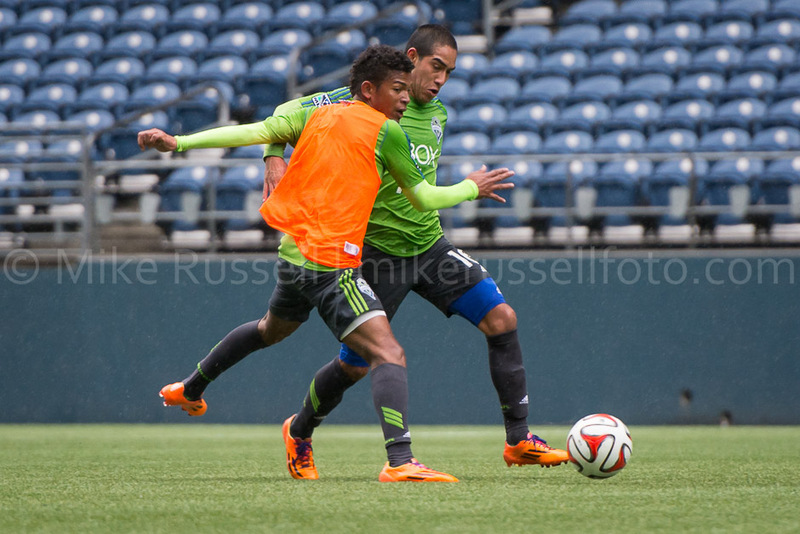 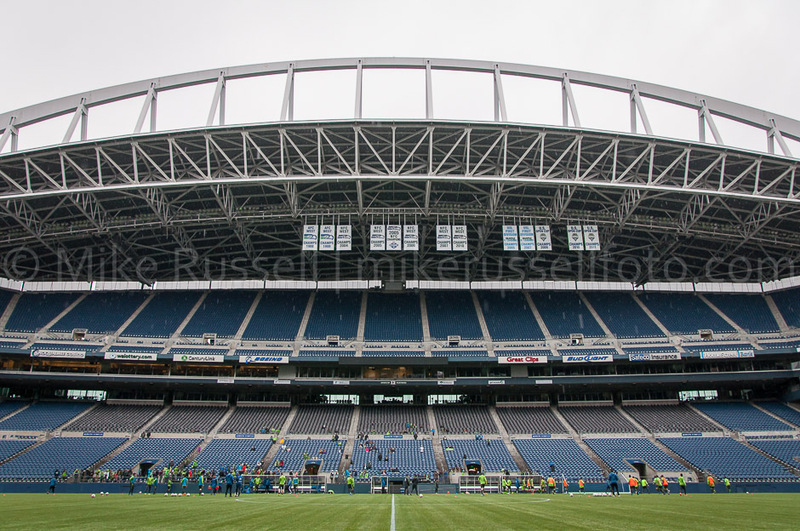 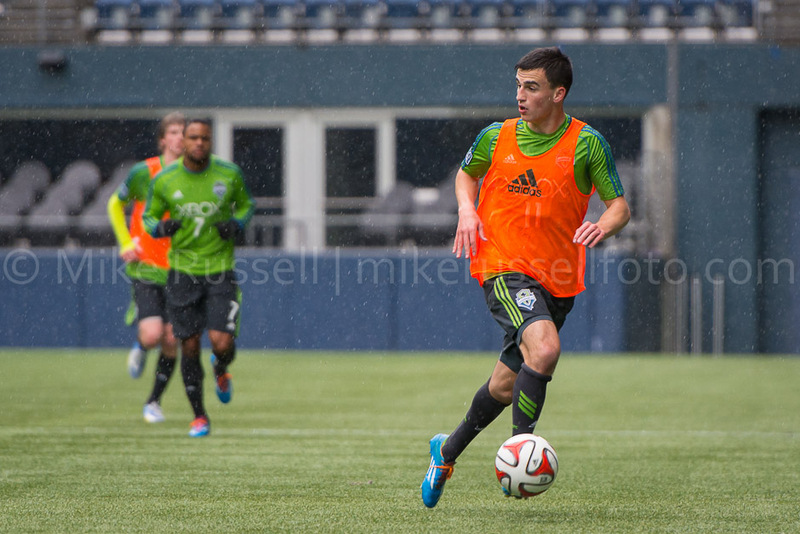 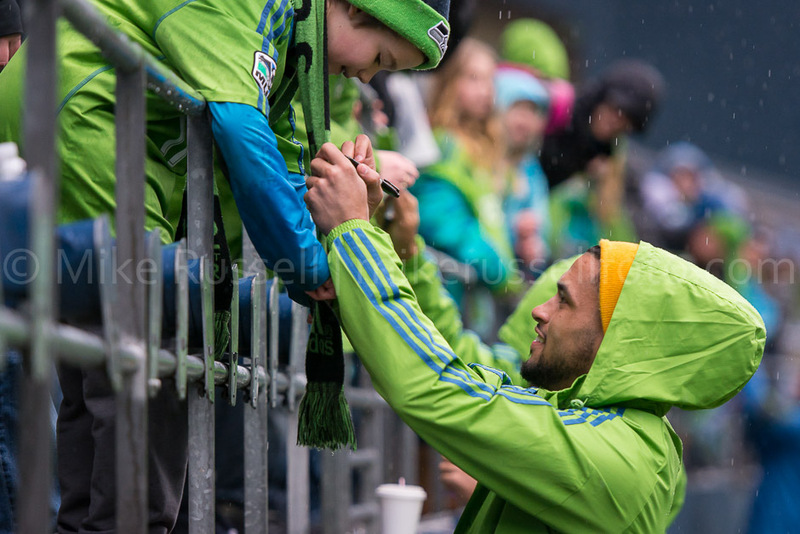 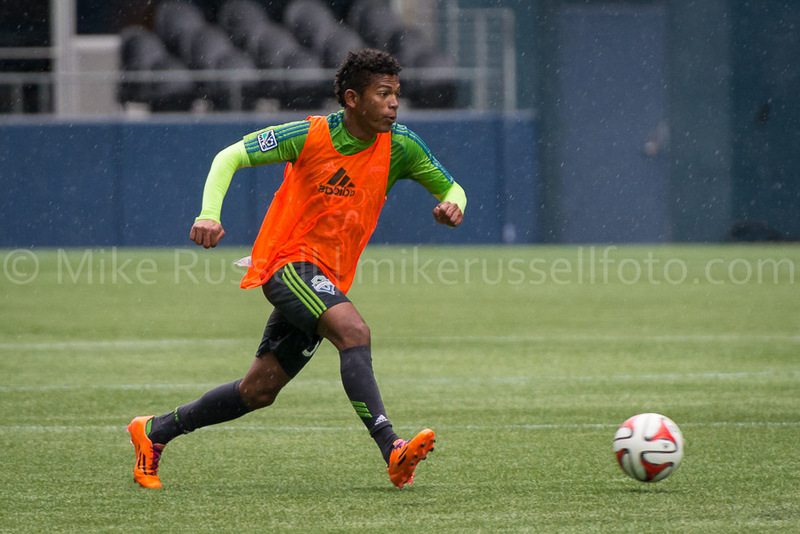 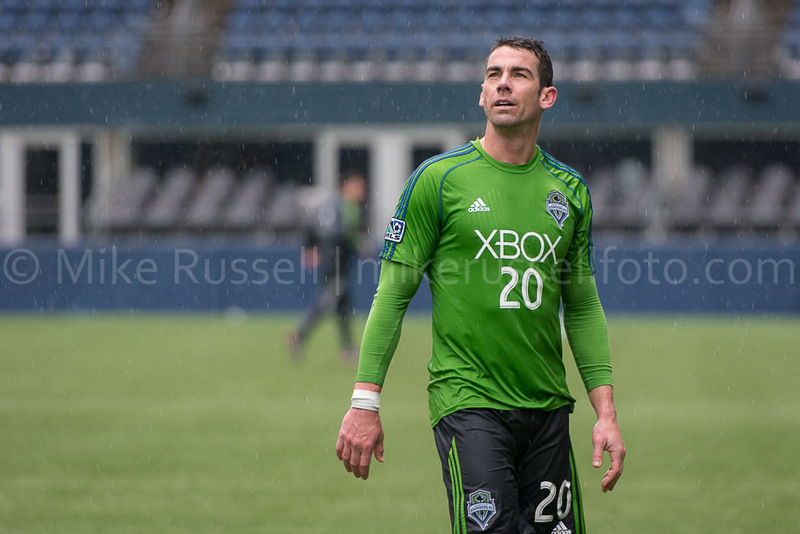 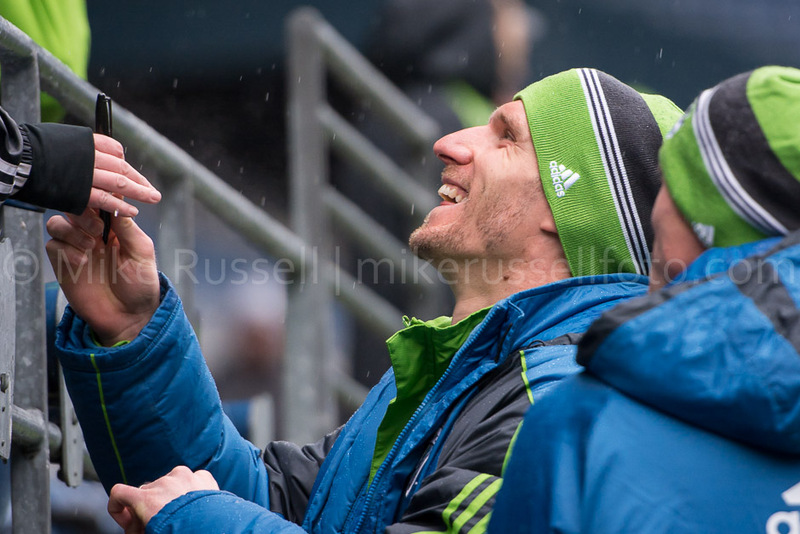 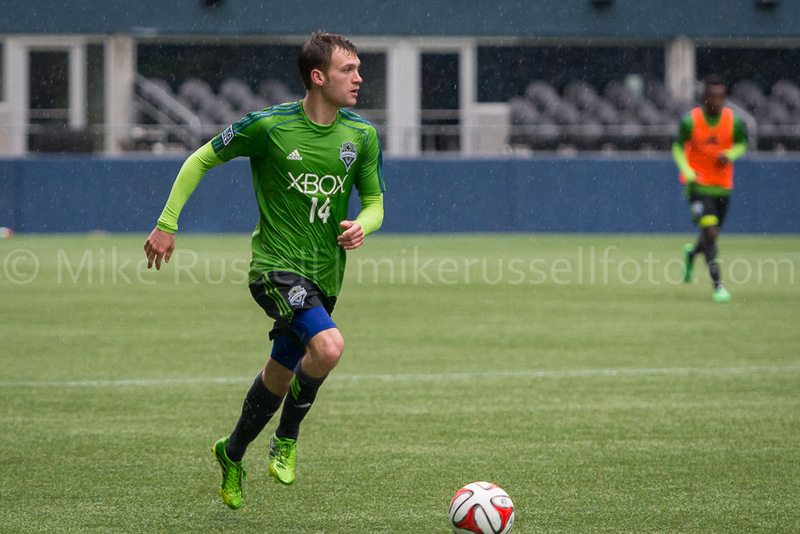 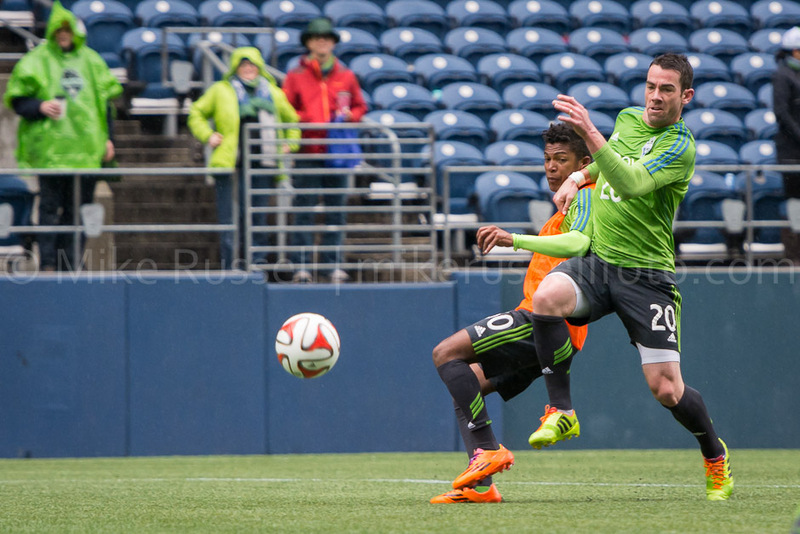 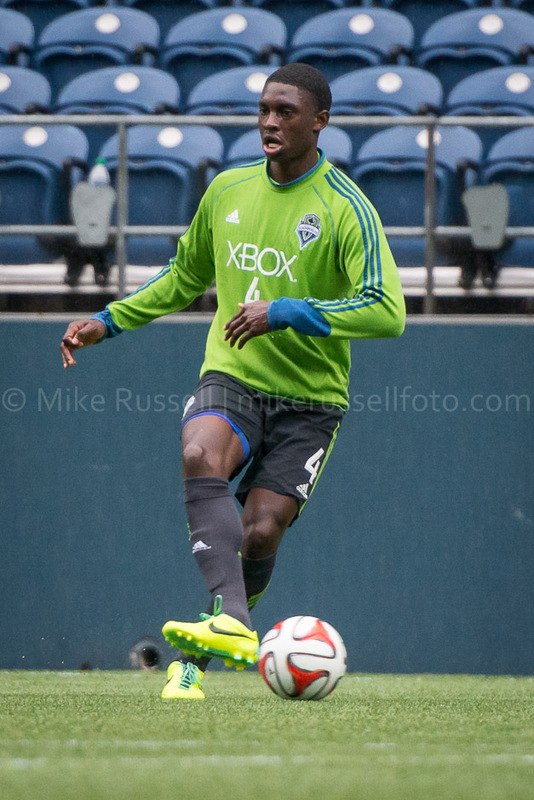 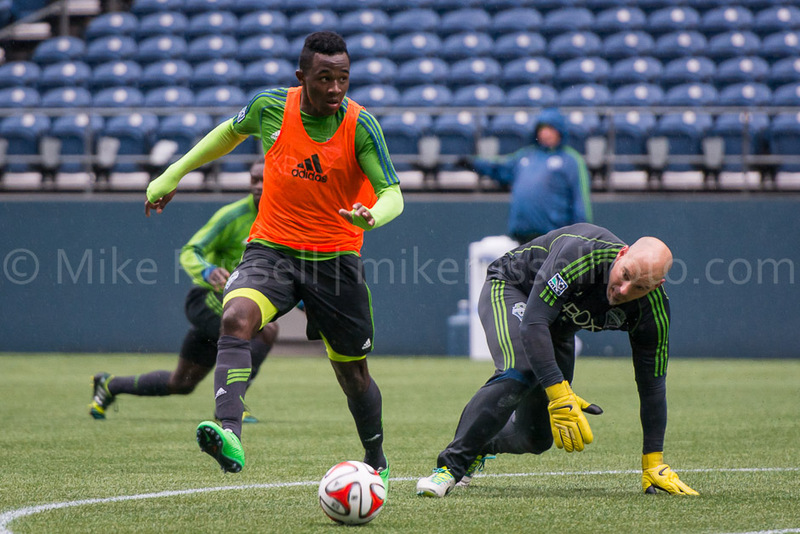 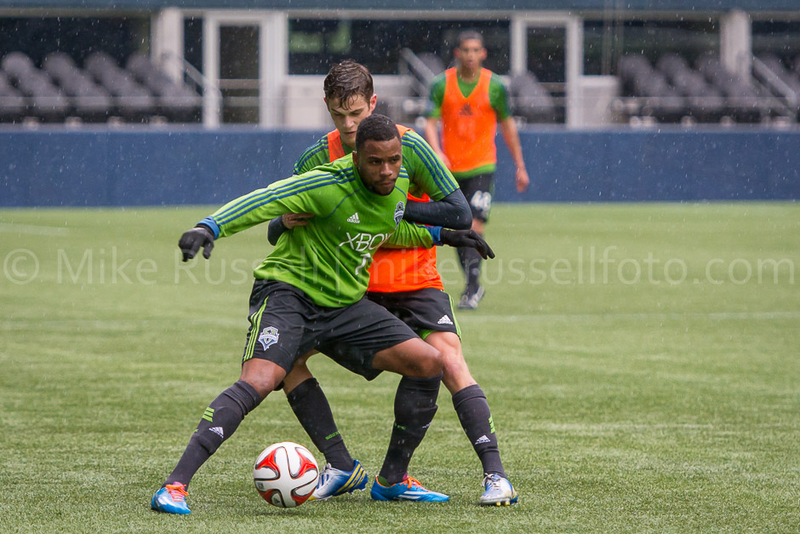 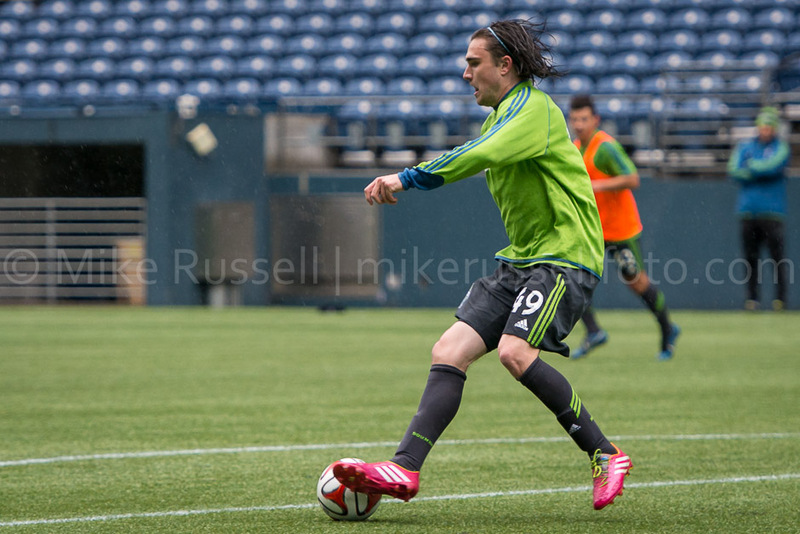 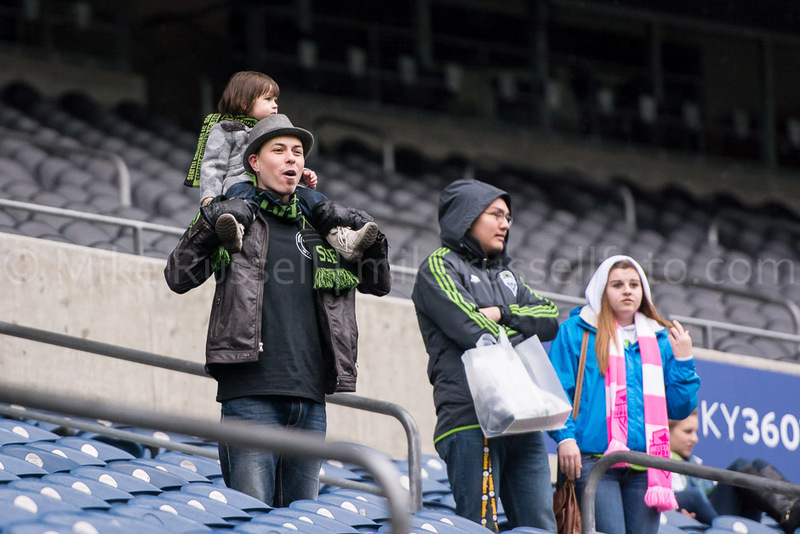 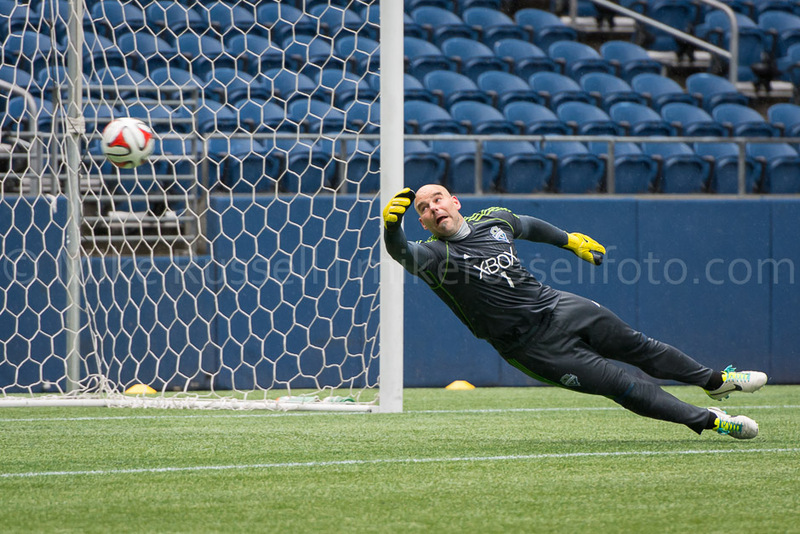 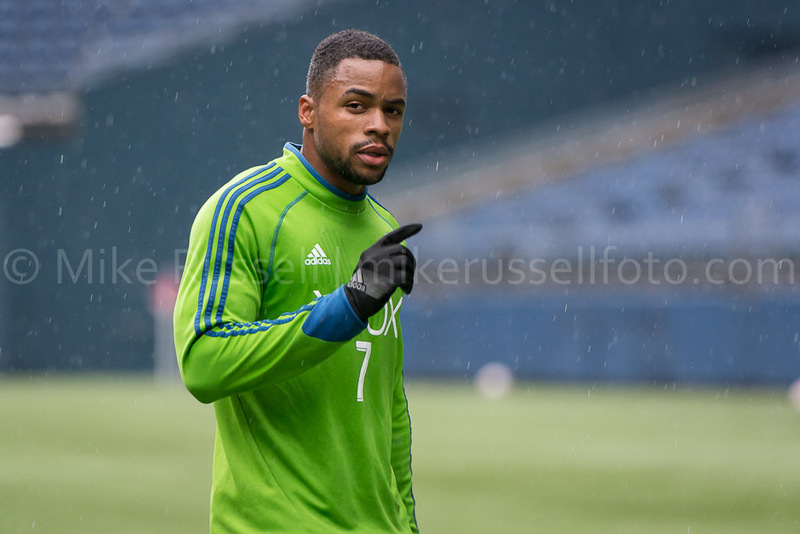 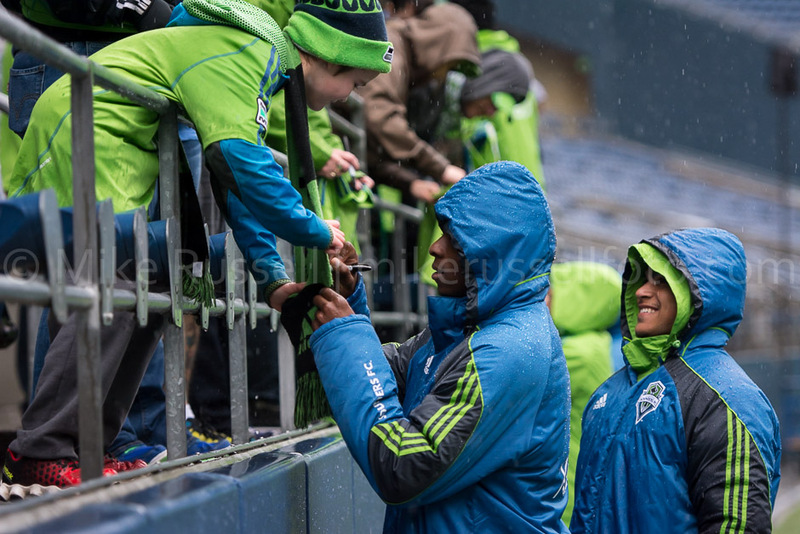 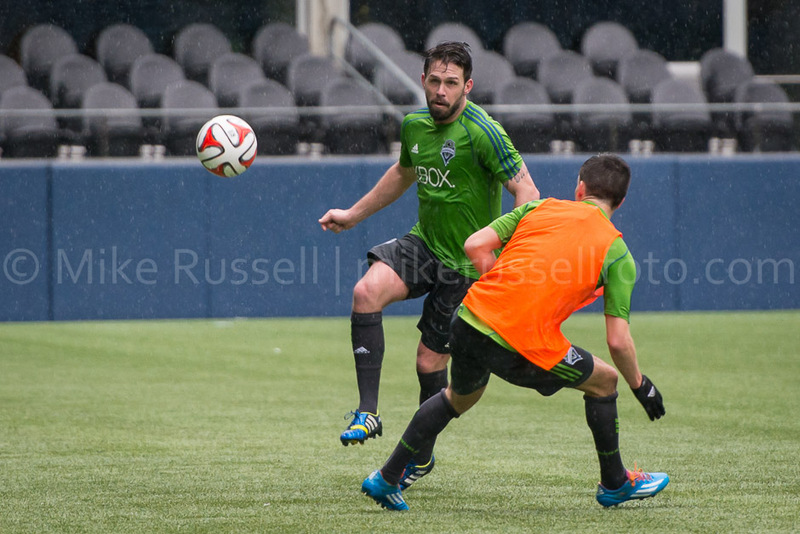 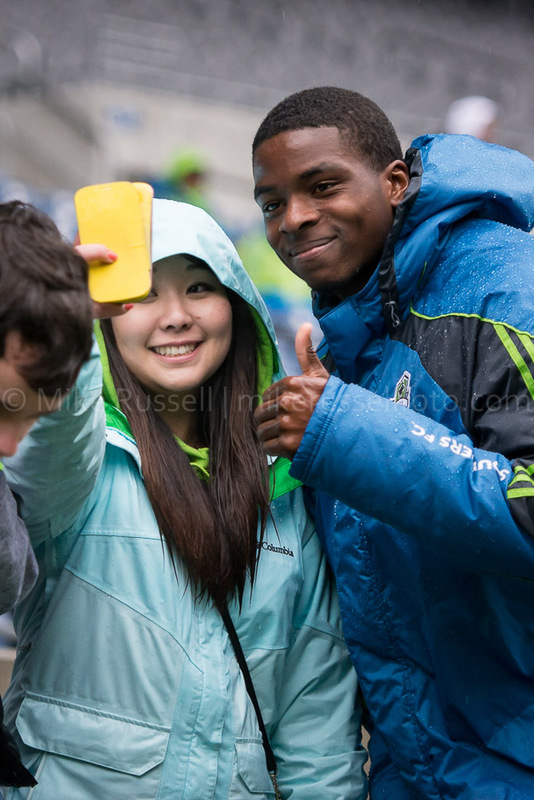 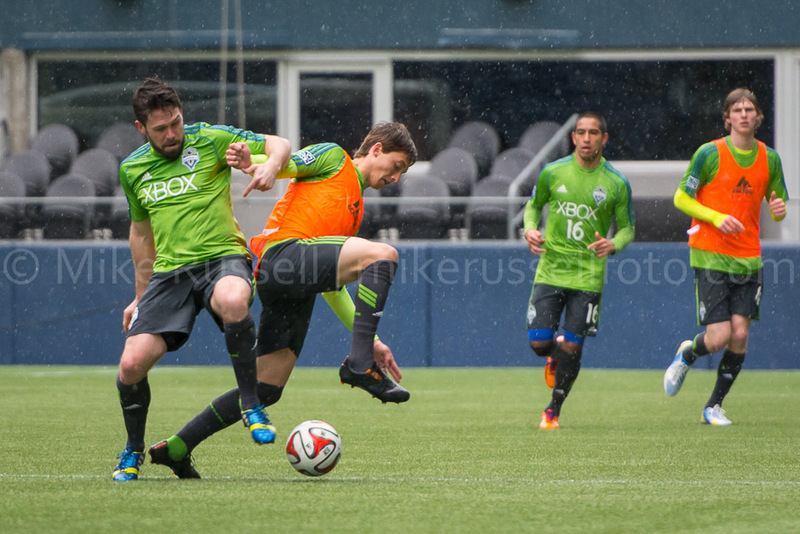 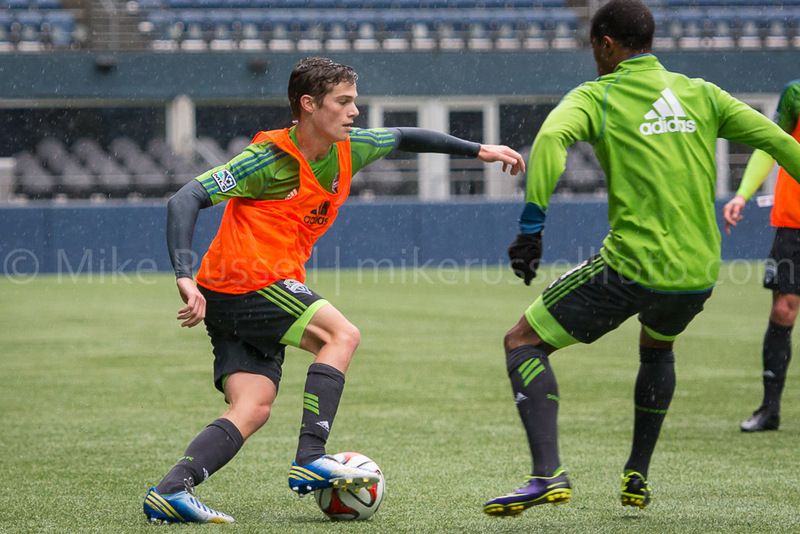 On Saturday the Sounders visited CenturyLink Field for the first time since November of last year. 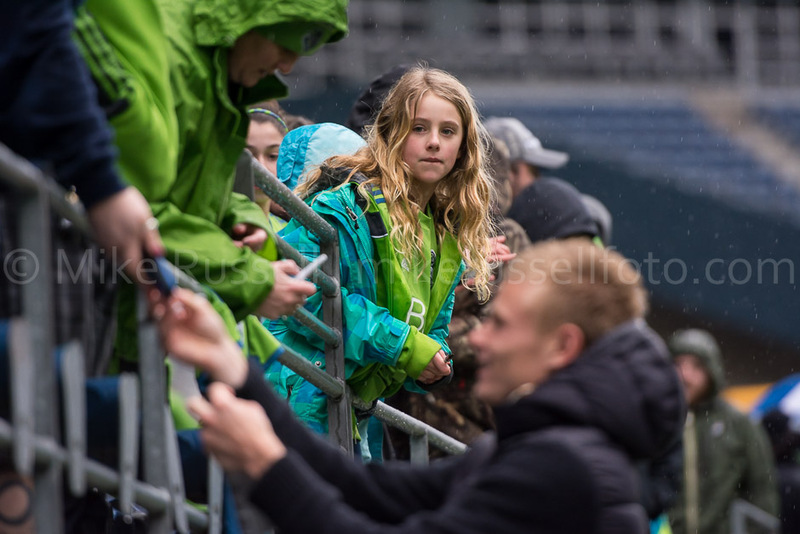 It was a cold and rainy morning, but a hundred or so new season ticket holders seemed to enjoy catching their first glimpse of the new team. 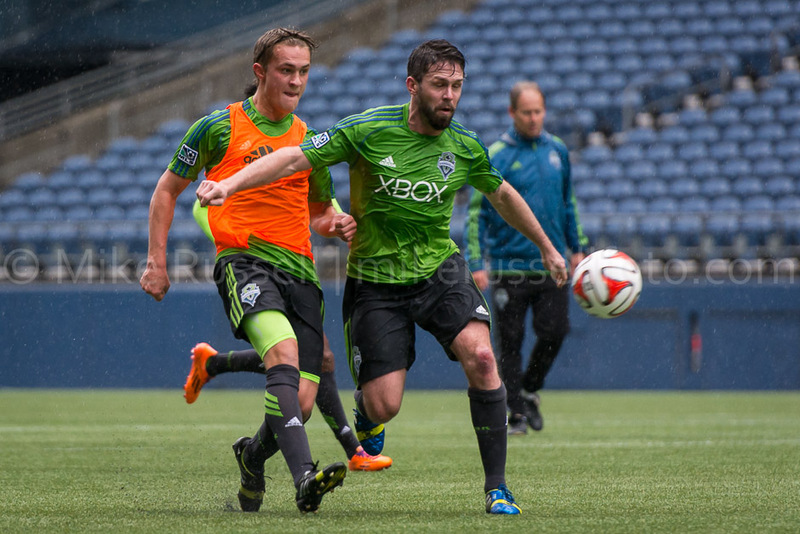 There were a couple of 60 minute 11v11 scrimmages, but only one of them was ok for media to shoot. 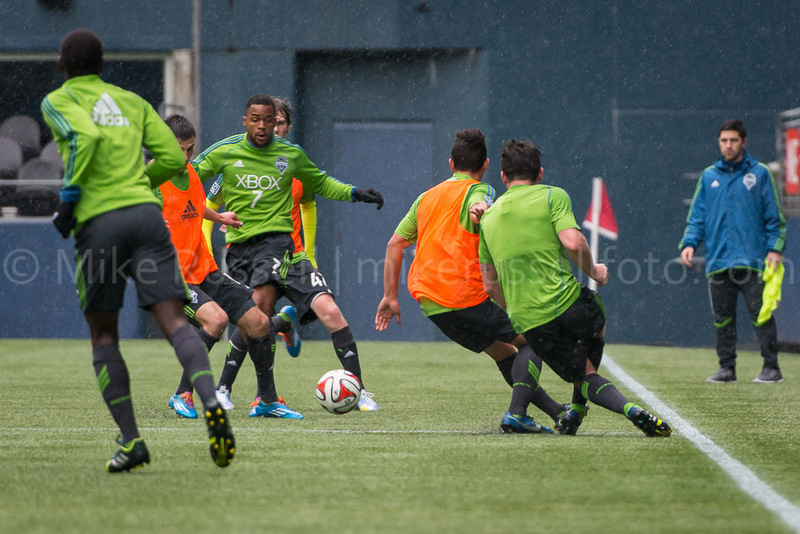 So, most of my photos were from that part of the session. 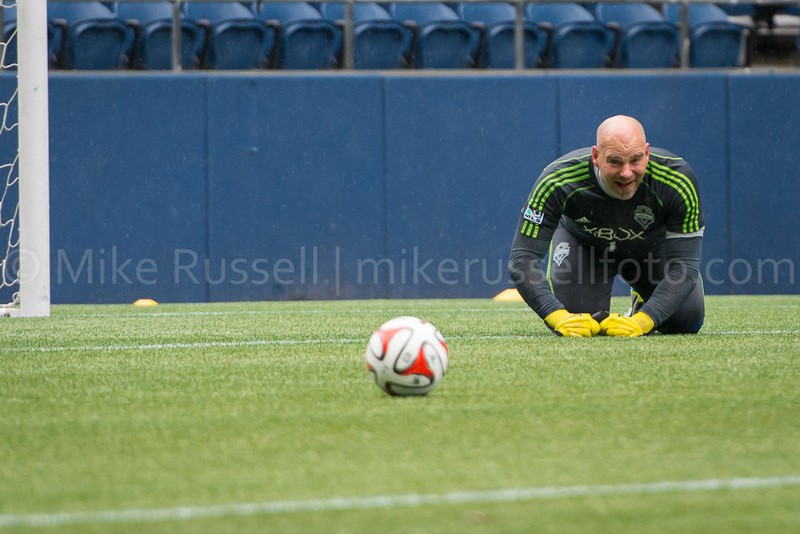 I will just have to wait a little bit longer to get more action shots of the likely starters. 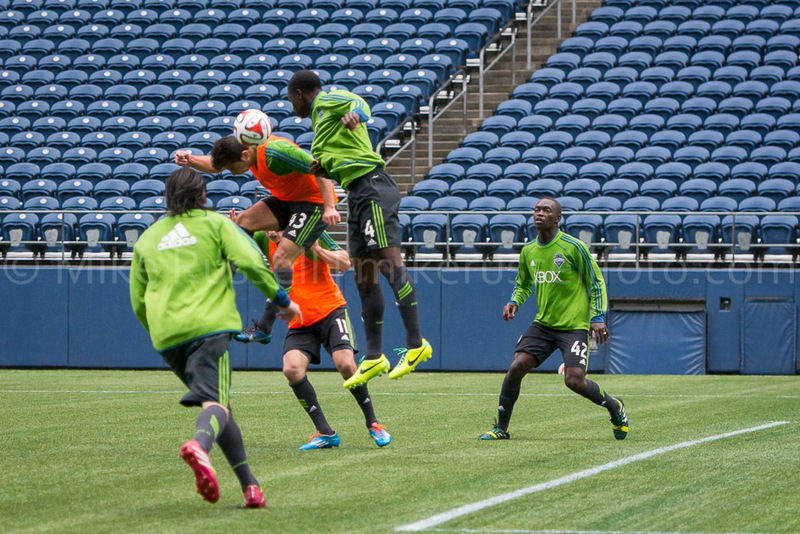 Aaron Kovar, Adeseyi Adekoya, Alex Caskey, CenturyLink Field, Danny O'Rourke, David Estrada, DeAndre Yedlin, Duncan McCormick, Fabio Pereira, Jalil Anibaba, Jimmy Ockford, John Arroyo, Justin Crichlow, Kenny Cooper, Lamar Neagle, Marcus Hahnemann, Miguel Gonzalez, Mike Russell, mikerussellfoto.com, MLS, photo, photography, preseason, SaH, Sean Okoli, seattle, Seattle Sounders FC, soccer, sports, sports photography, Tristan Bowen, Zach Scott.